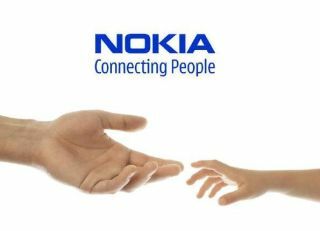 Nokia has announced a new raft of Symbian-based smartphones, with the Nokia C7 the first of the bunch. We brought you news of this handset a few months ago now, and it's certainly a big upgrade on the 5800 XpressMusic. Featuring a 3.5-inch screen and larger memory than the C6, it's a social networking phone with all the apps built in. At only 10.5mm thin, it's a dinky device, but still manages to offer a 3.5-inch nHD (640 x 360 pixels) OLED screen with Clear Black Display, which helps improve the contracts by slightly eliminating reflected light. It packs 8GB of internal storage, as well as micro SD support, and there's an 8MP camera with dual LED flash (which is third generation... whatever that means). An HD-recording video camera is offered too, which can capture at 25fps in both H.264 and MPEG-4 contrainers, and a secondary VGA camera for video calling. An FM radio and 1200mAh battery round of the specs list, and the good-ish news is that the UK release date has been set for Q4 of this year - which is much quicker than other Nokia phones we've seen announced. The UK price is likely to land around £290 SIM free, although with operator subsidies and what-not you'll likely be able to pick it up free on many contracts.